Start browsing below to find player-created content for your games. Interested in creating content? Click here to learn more. Ever dreamed of seeing your brilliant ideas come to life in games played by millions of people? 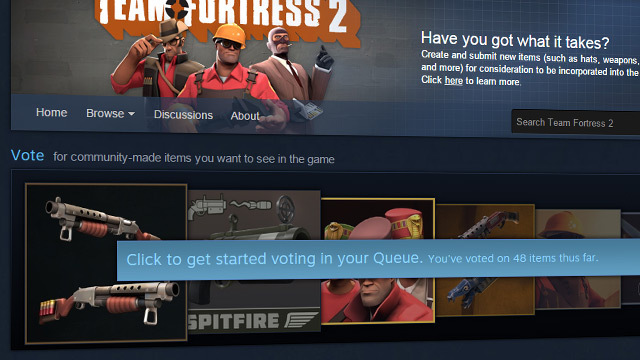 Now you can, with the Steam Workshop. Here you can submit, find, rate, and download new content and modifications for your favorite Steam games. 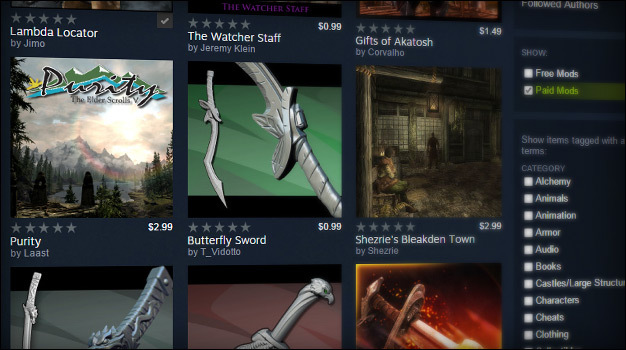 Different games may use the Steam Workshop in different ways, but everything here is created by members of the Steam community, just like you.